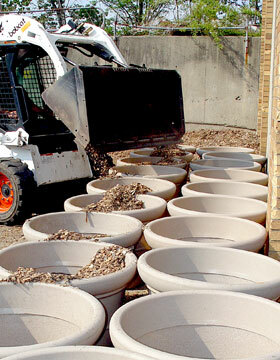 On Saturday, May 6th at the DPW yard, The Hasbrouck Heights Garden Club and the DPW prepared 40 fiberglass planters with mulch, soil and plantings. 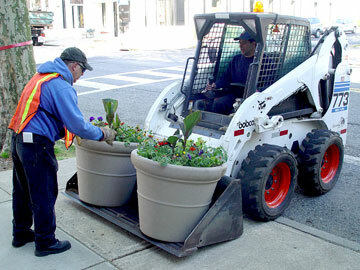 On Sunday morning, May 7th, the planters were put into position along The Boulevard by the DPW. 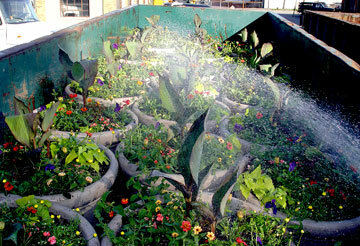 The DPW has agreed to water the plants during the season. 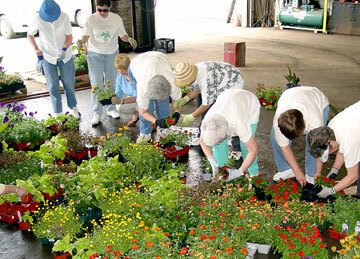 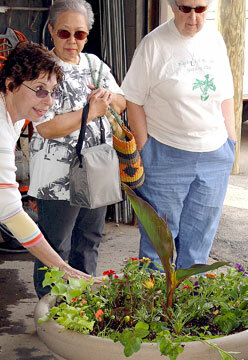 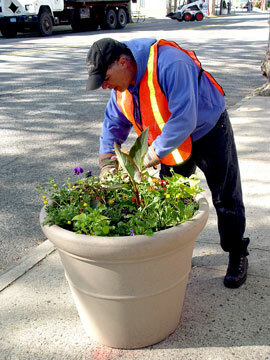 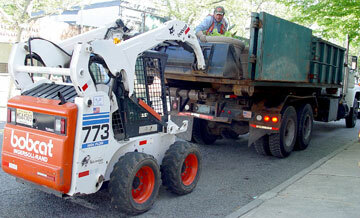 After the summer, the DPW will store the planters during the winter and the program will continue in 2007. 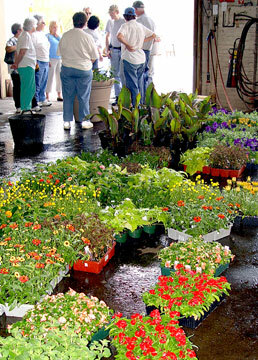 Sponsor recognition will be located at the Municipal Complex. 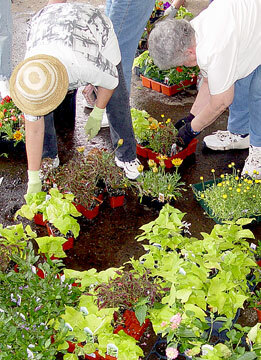 This program was initiated by the Garden Club in 2005 when, after considerable research and planning, they presented their "Boulevard in Bloom" program to the Hasbrouck Heights Chamber of Commerce and Borough officials. 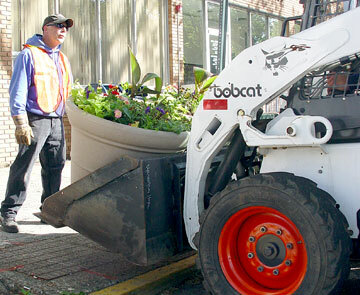 To launch this Boulevard beautification endeavor, Gateway Realtors, Otterstedt Insurance Agency and Heights Flower Shoppe seeded the program by generously purchasing 30 flower pots. 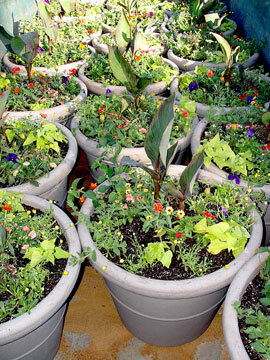 Although 40 planters were installed in May, the Garden Club and the Chamber of Commerce encourage businesses, clubs and residents to sponsor additional planters in 2006. 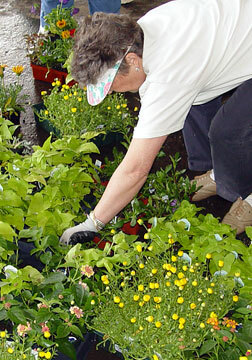 The program runs from May and continues until November. 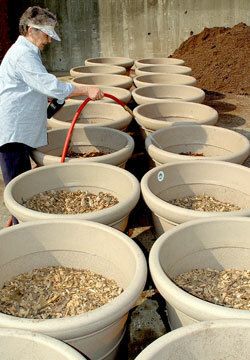 Cost is $150 each and includes the fiberglass pot, soil, mulch and plantings.